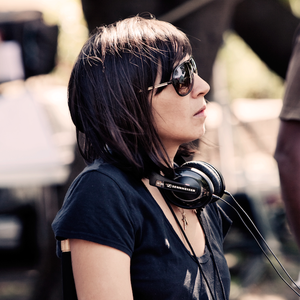 After graduating in Film from the University of Westminster, Sara was soon named one of the Top 25 Directors to Watch by Creativity Magazine. Through her work, she demonstrates a particular affinity with cinematic realism, full of authenticity and beauty. She has a gift for narrative storytelling, with inspired casting and performances across her work. Sara has chalked up an impressive array of brands and productions on her reel. From Levis, Virgin Trains, Vodafone, Sky and TFL, Sara brings an effortless quality to her films and shows a real flair for big ideas. Sara’s work continues to gather industry recognition, evident through the awards that she has accumulated since starting her career. Her commercial work has been awarded and shortlisted at LIA, British Arrows, D&AD, Creative Circle, Cannes Lions and A-List Hollywood Craft. Sara’s content driven work has been equally well received with the three films she co-wrote and directed for Burberry and GQ’s ‘Mr Burberry - The Night Before’ series, being featured by the Hollywood Report, HypeBeast and the Huffington Post and short-listed for the Shots Awards. She has also created award-winning films for The Big Issue, Plan, shoe designer Jonathan Kelsey and The Havens Crisis Centre, which picked up several awards at the British Arrows Craft Awards including Best Director. Her most recent short, ‘Dreamlands’, was the only UK short film to be ‘In Competition’ at the 2016 Cannes Film Festival, selected out of 5008 films globally entered. The film also won ‘Best Narrative Short’ at the 2016 Brooklyn Film Festival and recently played at the London Film Festival.